"...this secret motherhood, this secret haunting..."
Ruth, a bored and frustrated young mother in the Chicago suburbs, is haunted by the letters she receives from her own mother, who has been dead for several years. Ruth hires Lamb, whose investigation traces the letters to Europe and ultimately to Gustave, who tells the story of his equivocal love affair with a beautiful American girl during the student rebellion in Paris in 1968. But this girl is less carefree than she seems; she is an American haunted by her own half-lit memories of the unnarratable horrors of European history, and she may turn out to be Ruth's mother, if not Ruth's second self. Published by Spuyten Duyvil Press and available from Amazon (at left) or by clicking here. Distributed to the trade by Small Press Distribution. Read the excerpt first published by The Collagist. "...an impressive postmodern noir debut, imaginative and beautiful in its prose." "We hold a letter, its creases nearly worn through from years of opening and folding shut again. Yet each reading is a revelation, a shock, a mystery, a challenge. Corey gives this a new jolt, a new charge, in this rich and intensely self-reflective novel." "So what happens when a poet decides to write a novel? Joshua Corey’s novel Beautiful Soul: An American Elegy is an example of the art of density on a grander scale, and Corey’s gifts as poet can be experienced on nearly every page of this 369 page long poem. Corey takes a galaxy the size of the Milky Way and—defying the laws of physics, as all good poets should—squeezes it with a singular force into an object of great weight and gravity." "Beautiful Soul is a kind of metafictional experiment, but only to the extent that it points out that it is an essay, or a poem, maybe, attempting to access a necessary aspect of its creation that can only be accessed through imagination, fiction, and not even then.... The dead may no longer belong to themselves, books may no longer belong to us once they’re in the hands of another, but then they may also no longer belong to anyone else. 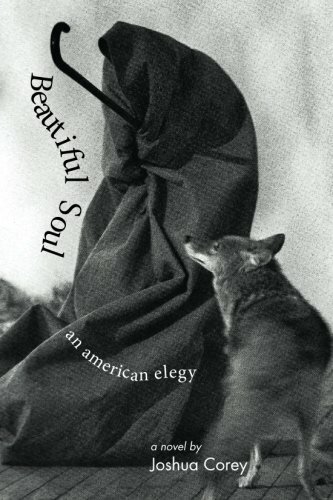 Beautiful Soul: An American Elegy eloquently expresses the attempt to at least own the quest, while the pages are still turning, to express the double loss of the Holocaust: that which is caused by the dead’s lost ownership of themselves, and that which is lost with the dead by virtue of their aloneness, or separation, from those who are left." "For anyone who enjoys the work of Italo Calvino, the narrative twists and metafictional interventions reminded me of If on a winter’s night a traveler. For anyone who enjoys the work of Claude Simon, the kaleidoscopic structure reminded me of Conducting Bodies. For anyone who enjoys Ben Marcus’s stuff, the personification or electrocution of language reminded me of his first three books. Many other comparisons, especially to the magical realists and to other novelists with the keen ears of poets who give enormous attention to the sentence itself, could be made; but honestly, the reason I was drawn into Beautiful Soul, the reason I recommend it to other discerning readers, is because of its irreducible singularity, which I classify as a hallmark of successful art." "As the book moves deftly through areas of capture and release, narrative strategies take the forefront in the Euro-American elegy. .... What happens at the story’s end? I won’t spoil it for you, but I’ll only leave you with the thought that Corey begins with, that this story is about mothers, and that mothers are what haunt us, mothers and fathers, for the most part. It’s a winding tale through the psyche of such a haunted figure, who manages, through it all, to guide us to a kind of bravery that can be dealt with outside of the images and symbols Corey so deftly maneuvers."